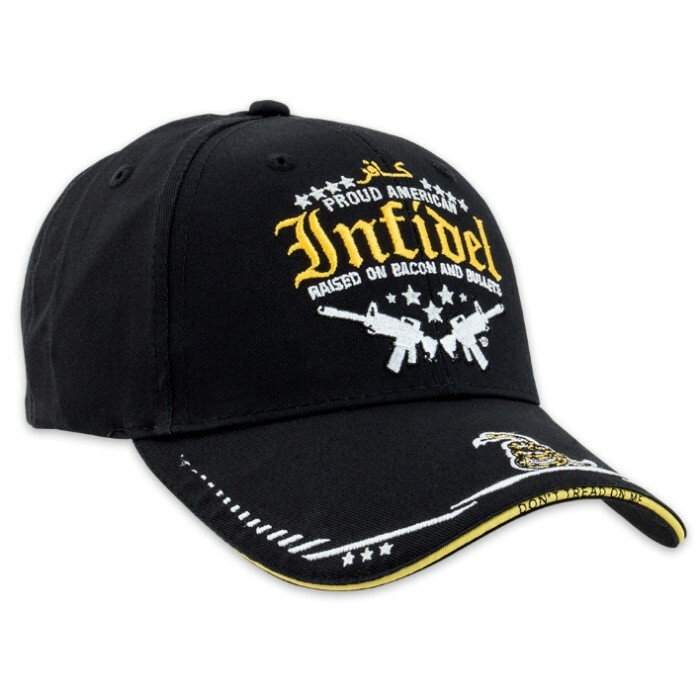 Infidel Cap - Hat | BUDK.com - Knives & Swords At The Lowest Prices! Stand in defiance with this Infidel Cap! 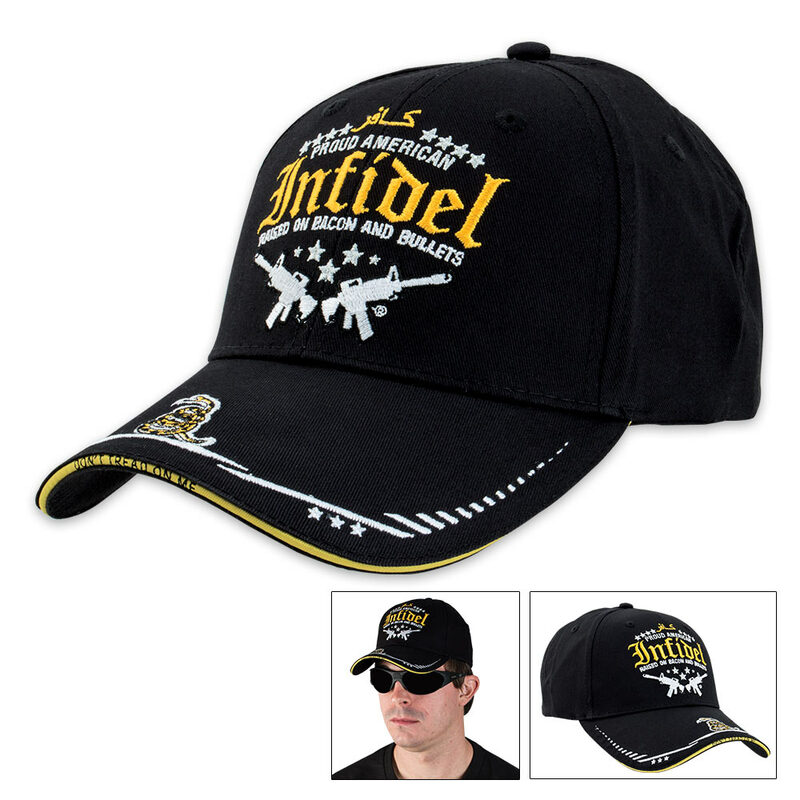 This six-panel hat features a full color embroidery on the bill and the front of the hat. 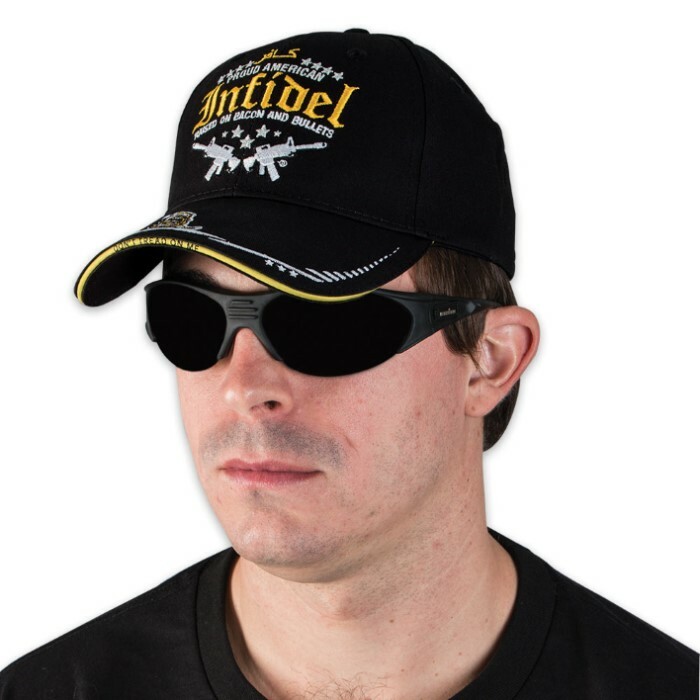 The words, "Proud American Raised on Bacon and Bullets" across the front of the hat will let everyone know not to mess with you! It is made of 100 percent light cotton twill and has an adjustable Velcro closure on the back. These caps are well made and are a good value. I would recommend them to everyone.